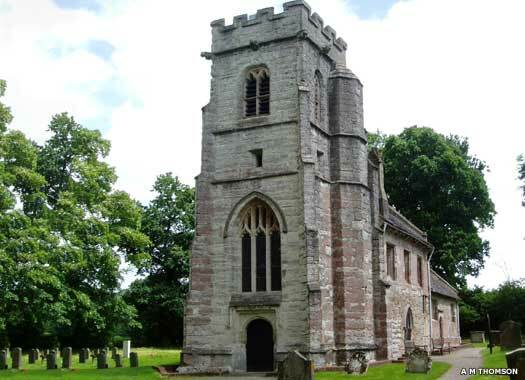 St Michael's Church, Baddesley Clinton, is over a kilometre and-a-half south of the village, near Hay Wood Lane, and just outside Lapworth's boundary. It also stands close to the National Trust property of Baddesly Clinton House. 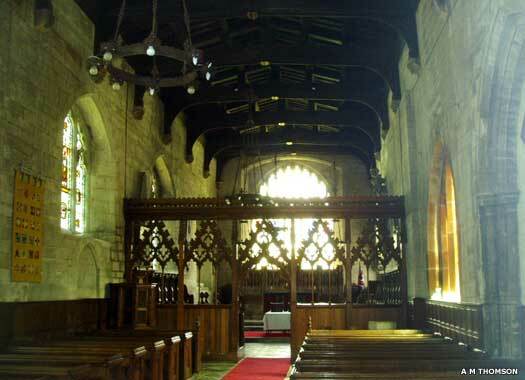 Both church and house have long and close links with the Ferrers family. The earliest record of a church at this site comes from 1305, but it is believed that a church existed here, or nearby, for up to three centuries before that. 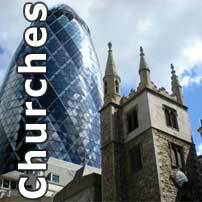 The early Norman stone building was, even as late as the fifteenth century, known as St James' Church. 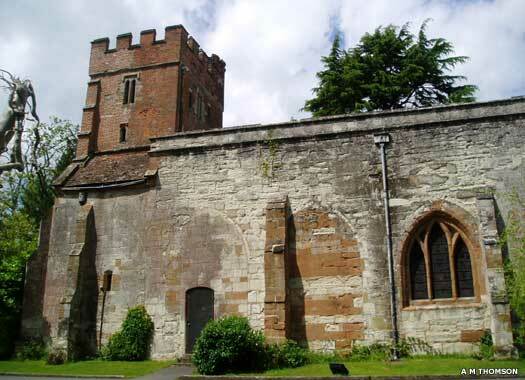 The quick-tempered lord of the manor, Nicholas Brome, who built the tower as a penance (as well as that of St Giles, Packwood), is buried just outside the south door, 'within the parish church of St James... there as people may tread apon mee when they cone into the church'. The dedication was changed later, perhaps following the nineteenth century restoration. 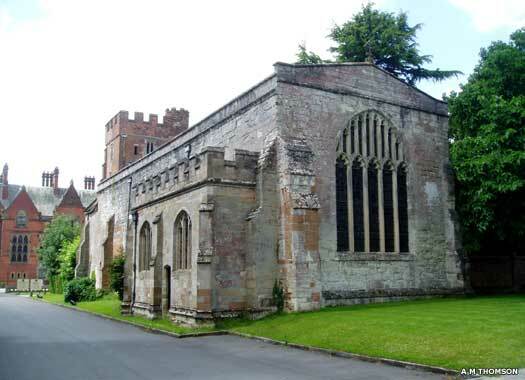 St Leonard & Wroxall Priory lies just under ten kilometres (six miles) north-west of Warwick, off the A4141 road. 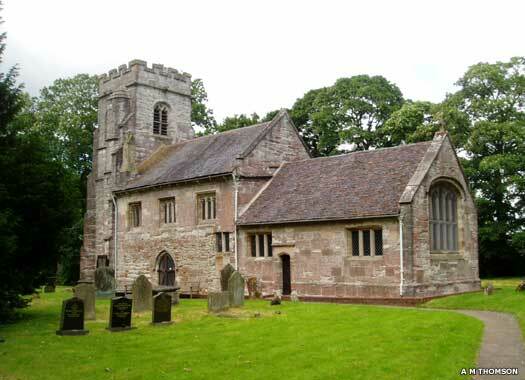 The present church stands beside the remains of Wroxall Abbey and was originally part of a larger church building. It probably provided services for the parishioners, while the destroyed portion south of it served the nuns themselves, before they fell foul of the Reformation. They were expelled and the Burgoyne family took over the rights to the church. The house built by the Burgoynes around the end of the sixteenth century occupied the site of the whole of the western range of the cloister. The roofless ruins of two buildings to the south of the church are all that remain today of the abbey. The smaller has a west doorway similar to the north-west doorway of the church, and was probably the chapter house, or an apse. The other ruin has parts of a hall's wall, probably part of the priory frater before it was adapted. The red brick west tower shown here was added to the church in 1663-1664, set over and into the nave. There was formerly a porch (perhaps in the sixteenth century) over the door in the north entrance here, alongside the tower, but this had disappeared before 1867. The church also gained three bells after the Reformation. The first is of 1664 by Henry Bagley, the second from about 1600 by a Newcombe of Leicester, and the third by Thomas Bullesdon of London.